Duration: Two (2) days with overnight accommodation in Koondrook, outback Victoria. Cost: $100 - $160 AUD / $70 - $115 USD for accommodation, Cost of transport and meals covered. A two-day overnight outback excursion is planned down the Murray River focusing on fishways, river rehabilitation projects, and leading edge fish screening technology. 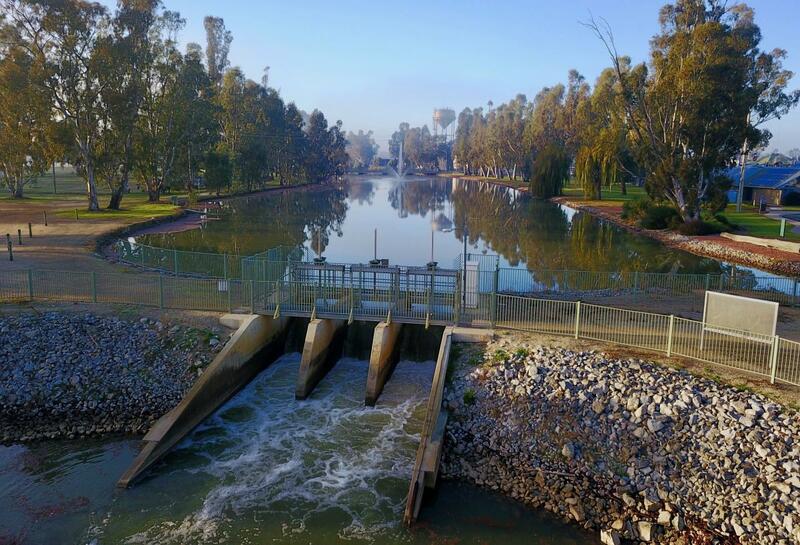 To begin, delegates will head west on the flat mid-Murray plains to the Yarrawonga Weir fish lock on the Murray River, the site of one of the first fishways constructed solely for Australian native species and a hub of upstream and downstream fish passage research for many years. 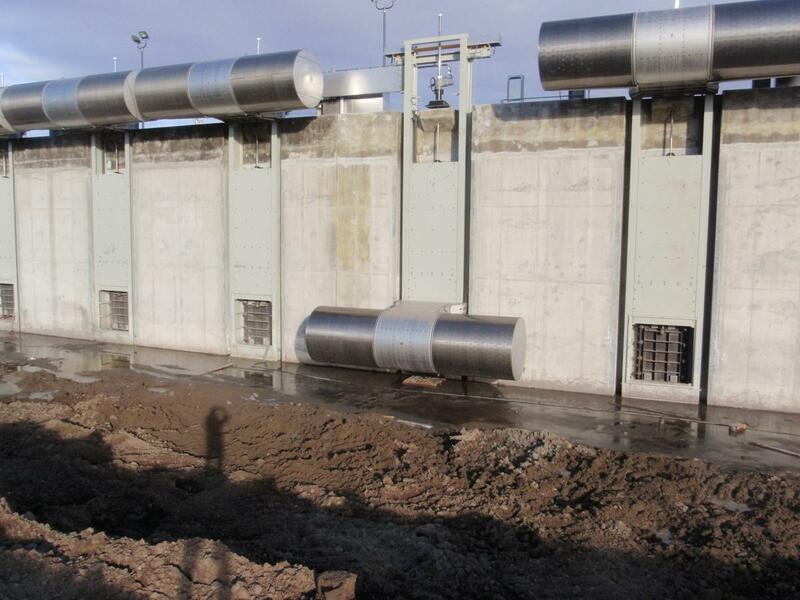 Yarrawonga Weir is one of fifteen weirs on the mainstem Murray River, thirteen of which have had fish passage remediated over the past 20 years to reconnect the river from its mouth all the way to Hume Dam (2225 km). 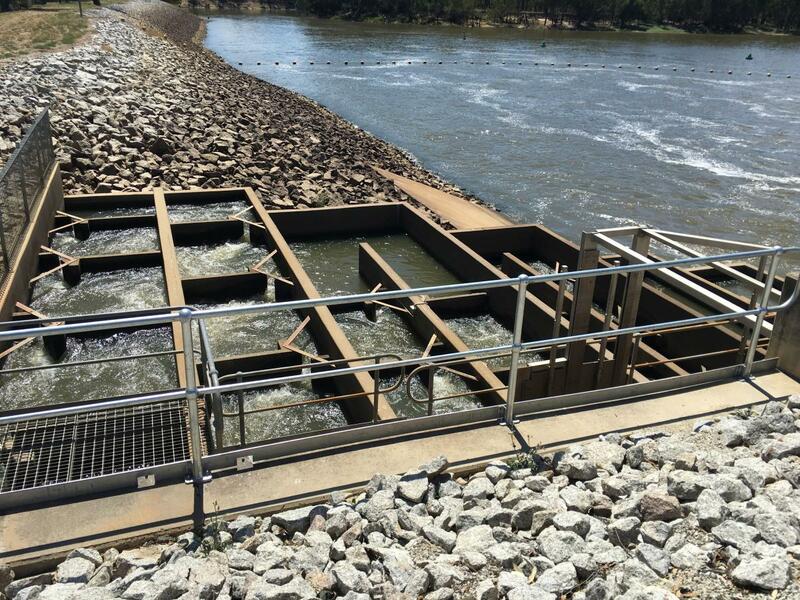 As well as having a Fish Lock, Yarrawonga Weir hosts a working power station and diversions supplying water to large irrigation districts in NSW and Victoria. Discussion will involve the management of both upstream and downstream fish passage at the site. .
From here, delegates will travel to Torrumbarry, the location of the first vertical slot fishway constructed in Australia in 1990. The fishway was later modified in 1997 to 39 cells on a 1:18 gradient to target smaller-bodied fish passage, although additional work is required. Delegates will also learn about floodplain remediation works recently completed across the river at Koondrook-Perricoota Forest which includes a father-and-son vertical slot and Denil fishway. Following lunch, delegates will partake in the Gunbower Native Fish Recovery tour led by the North Central Catchment Management Authority. 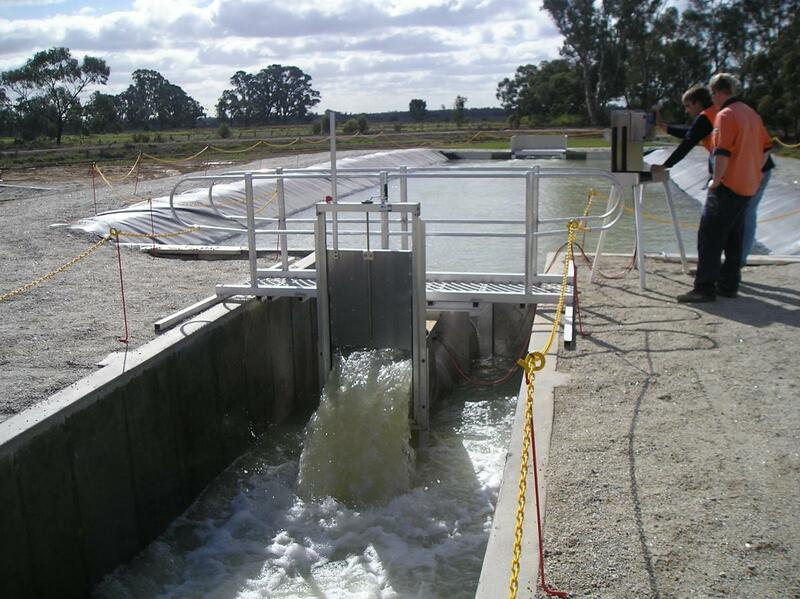 The tour will include visits to Hipwell Road environmental engineering structures that allow large volumes of environmental water to be delivered to Gunbower Forest, Australia’s first irrigation channel screen at Cohuna, and a brief stop at a proposed future fishway and channel screen site at Koondrook Weir. 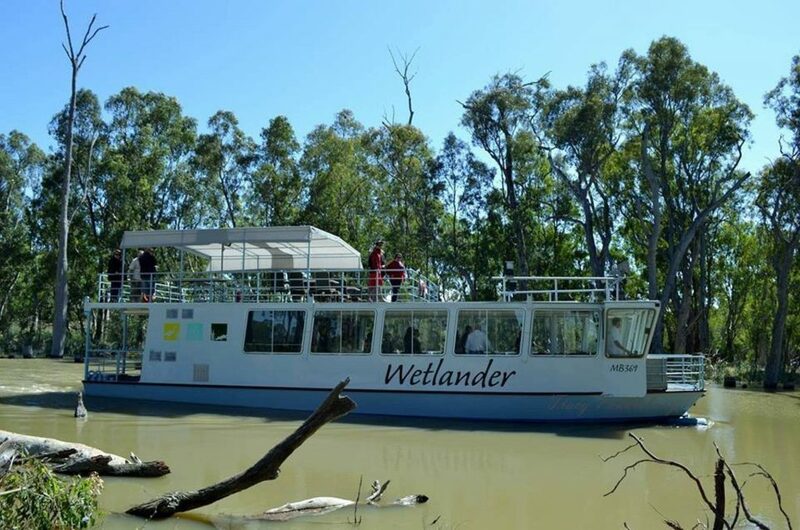 After checking into your Koondrook accommodation, you’ll be treated to a relaxing wetland dinner cruise and drinks on the iconic Gunbower Creek while watching the sunset. You will see an abundance of native flora and fauna including Kangaroos, Emus, Kookaburras and Sulphur Crested Cockatoos to name a few. The following morning, a complimentary breakfast will be held at the AWMA Water Control Solutions head office prior to touring their state-of-the art manufacturing facilities producing fish-friendly irrigation gates and fish screens for both the Australian and international market. Participants will be taken through the process of R&D, design, manufacture and installation. The tour will include a visit to the large outdoor Flowlab testing facility being utilised in conjunction with NSW Department of Primary Industries (Fisheries) and Charles Sturt University researchers with the aim of developing national best-practice biological guidelines for fish screens. Lunch will be provided in Echuca on the Murray River, before delegates will arrive back in Albury by mid-afternoon to catch a connector flight. Tour fees will cover your outback accommodation. Transport and food costs for the two days are complimentary and will be covered by the tour sponsors AWMA Water Control Solutions and North Central Catchment Management Authority.